How long before your car crash case expires? If you or a family member has been injured in an auto accident caused by a negligent individual, company or party, you may be eligible for financial compensation under Florida law. It’s important to realize, however, that the right of an injured party to file a personal injury lawsuit is time restricted in the state of Florida. 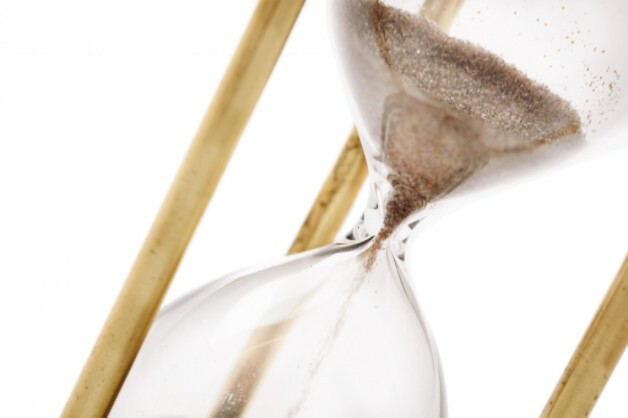 You should know which statute of limitations provision applies to your case and take the right steps (at the right time) to successfully recover the financial damages you deserve. Need expert legal help? Our experienced Tampa auto accident attorneys understand the details of Florida law and how to prepare a successful lawsuit on your behalf. We can estimate the value of your claim and do everything possible to obtain the financial resources that you will require to recover from your injuries. What are “Statutes of Limitations”? Statutes of limitations vary from state to state. In Florida, victims of auto accidents have a limited amount of time to file a civil lawsuit before their injury claim “expires.” There are also specific timelines for filing various types of civil lawsuits and injury claims. Failure to file your lawsuit on time could result in your injury claim being disallowed by a judge, regardless of the proof you have. There are many good reasons for enacting statutes of limitation. For starters, time has a way of obscuring the facts about who was responsible for an accident or what precisely occurred. Evidence and witness testimony must be properly collected and evaluated in a timely fashion. When evidence in a personal injury case is allowed to degrade or deteriorate over time, the chance of justice being served declines precipitously. The intent of a statute of limitations law is to ensure that consideration of the evidence by a jury is fair and unbiased. Statutes of limitations also ensure that the legal rights of all parties are protected. The passage of time works against plaintiffs and aids the cause of defendants. For this reason, if you think you may have a valid case, your claim should be evaluated by a professional sooner rather than later. Generally speaking, Floridians injured due to negligence have four years from the date of the accident to initiate a civil lawsuit. It should be noted, however, that there are exceptions to the four-year timetable. When it comes to medical malpractice cases, for example, lawmakers have adopted a two-year statute of limitations. If you were injured, you should never delay in speaking to an experienced personal injury lawyer. Only a qualified attorney has the knowledge and experience needed to evaluate your case and determine whether it’s worth seeking financial compensation. The Florida statute of limitations for automotive, truck and motorcycle accident cases is four years after the accident occurred. Again, it’s in your best interests to seek professional legal counsel sooner as time can make it more difficult to establish liability or summon witnesses. Wrongful death plaintiffs only have two years to file a lawsuit in Florida. This deadline pertains to all types of accidental deaths, including fatal car, truck and motorcycle crashes. We always recommend that accidental death victims contact one of our wrongful death attorneys without delay. If you or a loved one is dealing with the effects of a tragic accident, you may require the assistance of an experienced personal injury law firm. At Lorenzo & Lorenzo, our attorneys understand Florida law and how to obtain the financial damages that will be necessary to compensate you for pain and suffering, medical bills, rehabilitation services, lost wages, and damaged property. We provide complimentary case evaluations and our legal services are provided on a contingency basis, meaning you pay nothing unless we secure financial damages on your behalf. Contact our law firm today to speak with an experienced attorney who can answer all your questions. With our free consultations and contingency fee model, there’s no risk whatsoever.